In four easy steps, this two-hour course introduces business people to economics, helping you explore the often misunderstood dynamics of supply and demand. In this course, you will build the foundation necessary to understand more complex economics. Twenty-two short videos take you through the course, first examining the concept of opportunity cost and choice, then progressing to the key concepts of supply, demand and market equilibrium. If you have ever negotiated a price with someone, you will find these key concepts fascinating and they will help you improve outcomes from your future negotiations! In three engaging lectures, this two-hour course demonstrates to business people how the yardstick of elasticity affects demand and sales of products. 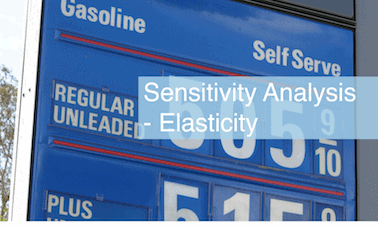 After watching these 14 short videos, you will master the concept of elasticity of demand and how it can be applied to a variety of situations. The course begins by examining price elasticity of demand, followed by income elasticity and cross-price elasticity of demand. Your knowledge of these concepts will assist your analysis of company profitability and potential based on the constantly changing factors of price, income and other products. 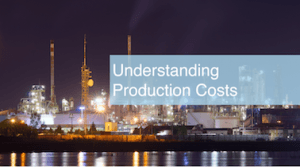 In four simple lessons, this two-hour course shows business people how production costs are calculated and how they evolve. You will find this a fascinating study of companies’ fixed costs, variable costs, average costs and marginal costs and how these costs affect company profitability and competitiveness. The 12 short videos in this course help you become a quick study of these essential cost concepts. Using these concepts, you will be able to better analyze corporate cost structures and how these cost structures position companies competitively and for the future. In these four easy lessons, you will study for two hours and quickly build an understanding of the key characteristics of the four traditional market structures and their influence on corporate decision-making. 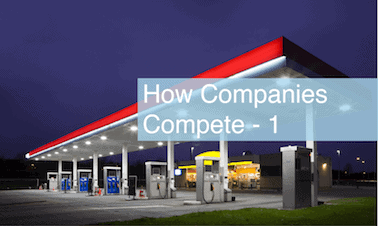 In this course, you will discover how the monopoly, oligopoly, monopolistic competition and perfect competition market structures compare, and you will study monopolies and natural monopolies in depth. The 14 short videos in this course, help you rapidly develop your analytical skills of how companies compete in varied market structures and how these structures affect the competitive interaction of companies and their values. In these five short lessons, you will study for two hours and learn the inner workings of oligopolies and monopolistic competition. In this course’s monopolistic competition section, you will be fascinated by the many factors that influence how firms sell similar but differentiated products. In the oligopoly lessons, you will discover how the airline industry and OPEC compete. 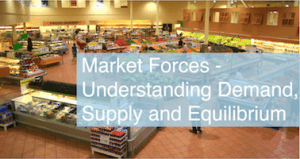 By course’s end, you will have developed key insights into two of the four market structures. You will discover how companies competing in these market structures view the competitive landscape and key factors that influence their decisions. The 16 short videos in this course help you rapidly develop your analytical skills of how companies compete and succeed in these two pervasive market structures. In these five short lessons, you will study for two hours and build an in-depth understanding of perfect competition. This course will fascinate you as you learn how a pig farm fits into a perfectly competitive market structure. You will discover how companies competing in perfect competition view markets and the key factors that influence their decisions. The 17 short videos in this course build your analytical skills of how companies compete and succeed in the perfectly competitive markets that face many companies. In five easy steps, this two-hour course introduces business people to key economic indicators that measure economies, markets and growth. 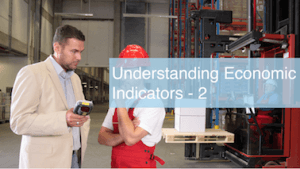 In this course, you build the important foundation necessary to understand the meaning and implications of key economic indicators. You begin the course by examining how incomes flow between households and firms, then progress to the key concepts of GDP, capital stock and flow variables, and saving and investment. You will be surprised how some of these indicators are formulated, and will develop knowledge that helps you clearly explain to clients important elements of the plans that you recommend to them. In five short lessons, this two-hour course introduces business people to more key economic indicators that measure economies, markets and growth. 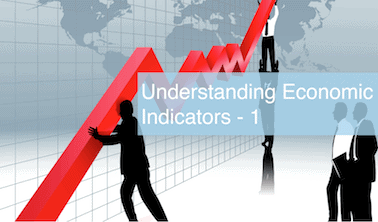 In this course, you continue to build the foundation necessary to understand the meaning and implications of key economic indicators. You will explore inflation indicators, employment and unemployment, the interaction of interest rates and bond prices, and currency exchange rates. You will quickly absorb and develop knowledge about important economic indicators that helps you clearly explain to clients, the economic context of your recommendations. In five essential lessons, this three-hour course is a must-have monetary policy primer for business people. Perhaps one of the most important influences on asset values and wealth, monetary policy is a must-know subject. This 27-video course helps you explore and master the concepts of money supply and demand, fractional banking, the money multiplier and monetary policy. 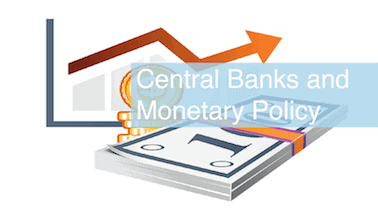 With this knowledge, you will understand how and why monetary policy is deployed and how to measure the effectiveness of such policies. 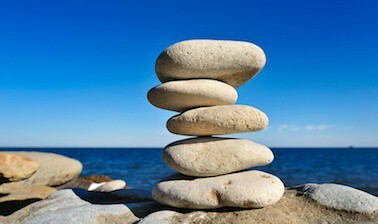 You will find this knowledge essential to your evaluation of current monetary policy and its effects on asset values and financial portfolios. In these three engaging lessons, this two-hour course introduces business people to the government spending policies that help determine the economic landscapes which face advisors and their clients. The course begins by comparing deficits and debts, followed by an exploration of how the spending multiplier works and how this impacts economic growth. 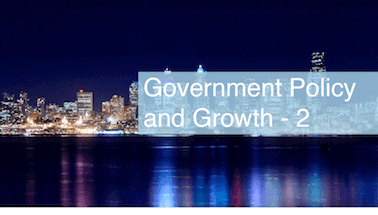 The 14 short videos in this course quickly help you build your knowledge of government fiscal policies and tools for implementation. This course will help you evaluate the sometimes glaring differences between fiscal objectives and outcomes. In these four simple lessons, this two-hour course helps business people understand the impact of taxation and demographic trends on government policy. You begin the course exploring the effects of taxation, followed by an examination of one of the most important demographic forces that now faces policy makers and individuals saving for retirement - the population pyramid. 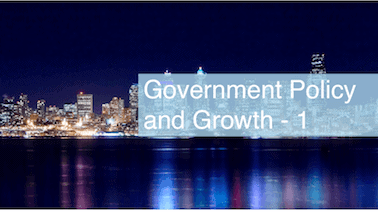 The 17 short videos in this course helps you build your knowledge of government fiscal policies and the tools used to implement such policies. This course will help you evaluate the impact of tax policies and to acquire an in-depth knowledge of the demographic trend that is imperative for you and your clients to understand. Math Basics for Economics provides a great introduction to math for introductory economics.